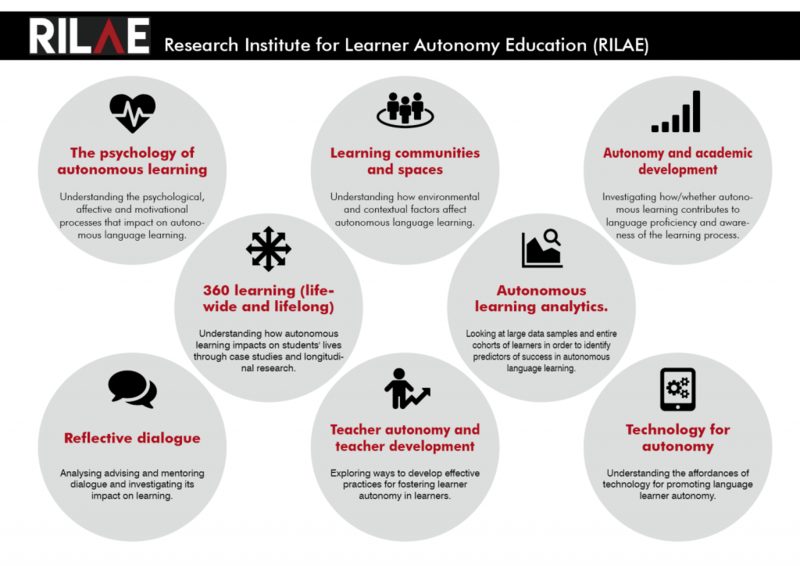 Our aim is to facilitate world-class research into all aspects of autonomy in language education. We do this by supporting research groups, offering regular, free online research seminars (called ‘LAb sessions’: more here) and publishing two journals (more here). We will gradually be building an Autonomy Research Repository and an Autonomy Corpus. Our current research clusters are listed below. We welcome expressions of interest from potential collaborators. Publications by RILAE members are listed here.